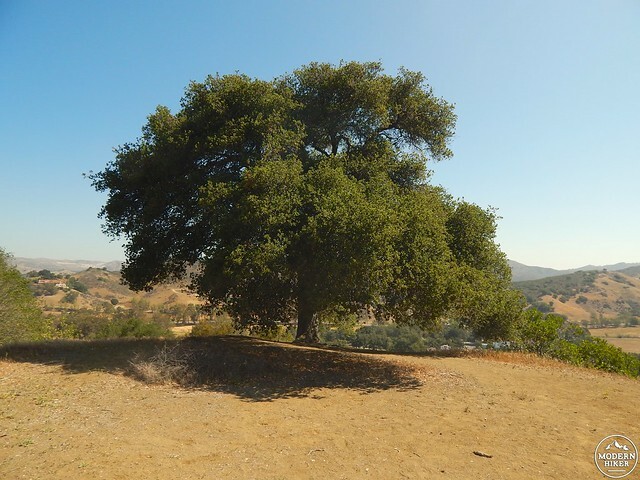 Nestled in the rolling hills south of Calabasas, the nearly 600 acres of King Gillette Ranch serve as the picturesque homebase for the Santa Monica Mountains National Recreation Area. If the name “Gillette” sounds familiar, it’s because you’ve probably fought the good fight against unwanted hair – the famous razor company’s founder, the regally appointed King Camp Gillette, chose this idyllic spot to plant his gorgeous Spanish revival mansion in the mid 1920s. 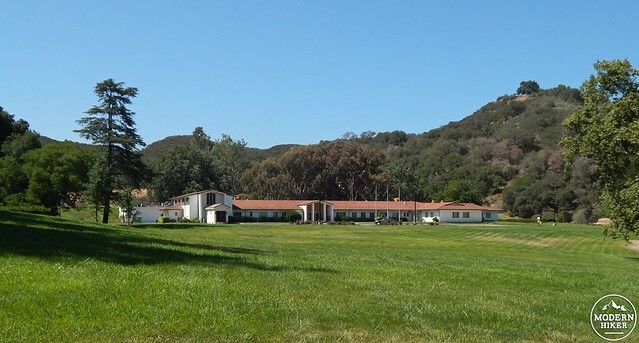 Through a series of acquisitions, the property passed through a few Hollywood hands (including those of iconic funnyman Bob Hope), was transformed into a seminary for a quarter century, spent a brief stint as a place of higher education, and ultimately landed at its present usage thanks to a collaboration between the National Park Service, Santa Monica Mountains Conservatory, California State Parks, and Mountains Recreation & Conservation Authority. While you might assume the mansion itself is the main attraction, it’s actually off-limits to the casual visitor – reserved for special events, rentals, and filming. The real gem is the Anthony C. Beilenson Interagency Visitor Center, housed in a beautiful LEED Platinum (read: super-eco-friendly) certified building converted from Gillette’s former stables, and this is where we suggest you start your exploration of the property. 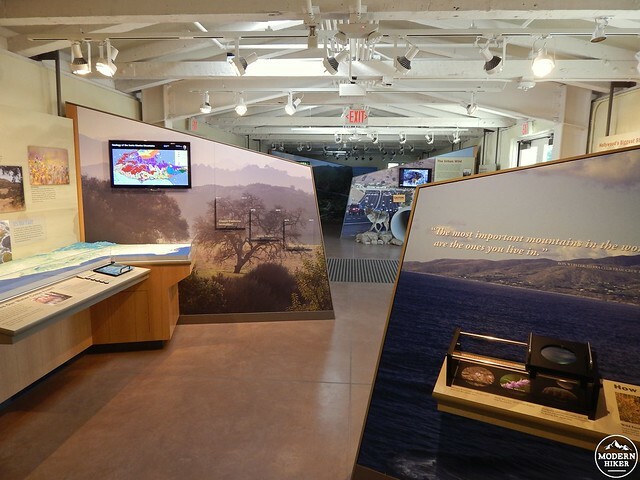 The center opened on June 9, 2012, and rivals any in the National Park system with a fantastic array of exhibits on flora, fauna, water conservation, fire, Hollywood history, local Native American culture, and environmental issues. Bonus points: this is the first National Park building to be classified as “net zero” meaning that it basically generates (and consumes) its own energy – you can read more about some of those efforts here. 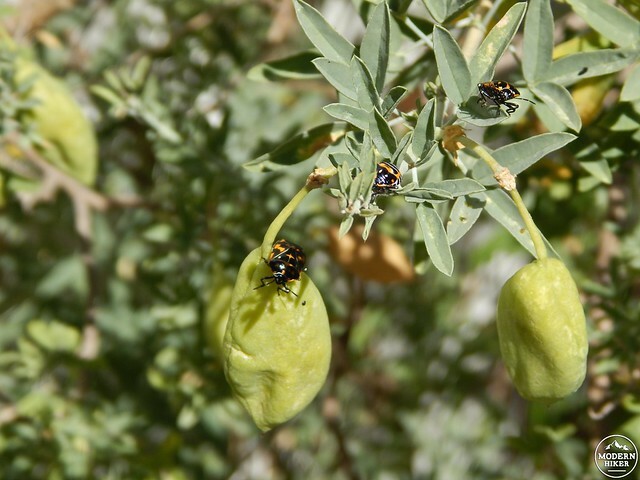 Once you finish taking in the sights inside the Visitor Center, head outside and onto a short path to the south of the building that meanders around the Ranch’s small botanical center, with a native plant nursery and gardens. 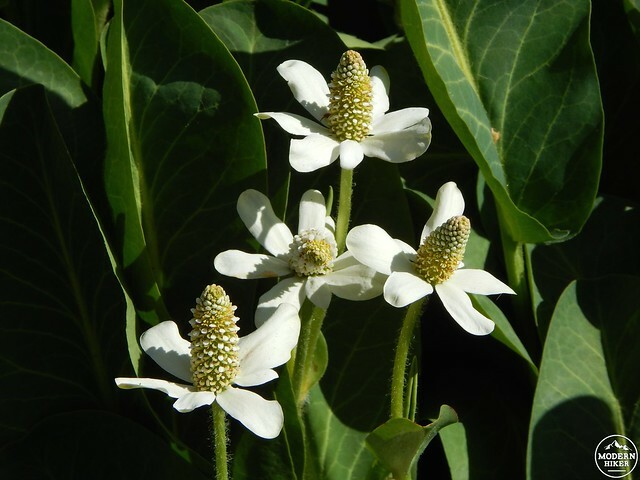 The day we visited, the spring wildflowers had nearly run their course, but there were still a few buds and blooms to keep the insects buzzing. Continue your tour of the Ranch by heading up a short dirt trail that begins to the right of a maintenance building southeast of the Visitor Center. To get there, hang a right out of the center’s parking lot onto the main drive, then take the next right on a paved road. 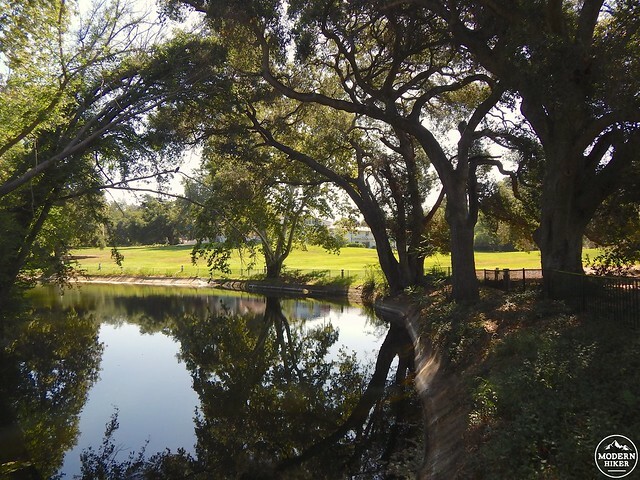 You’ll cross a small pond (the dammed Stokes Creek), catching your first glimpse of the historic Gillette mansion across the water. The maintenance building is just around the bend from the pond and on the day we visited, there were some Hollywood remnants scattered around from the Ranch’s alternate existence as sweat-soaked set of The Biggest Loser. Be glad that your exercise today is limited to a quick mile jaunt on the path ahead, cross the maintenance road, and head uphill, enjoying a brief patch of shade. This first section is where you’ll hit most of the elevation gain and on a hot day, this will feel steeper than it actually is. 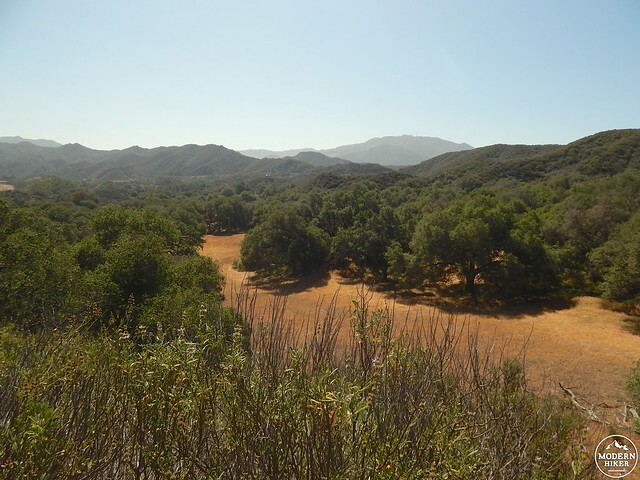 However, it’s worth the effort – views open up almost immediately as you head upward, offering up not just a bird’s-eye look at the Ranch itself, but also a sweeping overview of the craggy eastern side of Malibu Creek State Park. 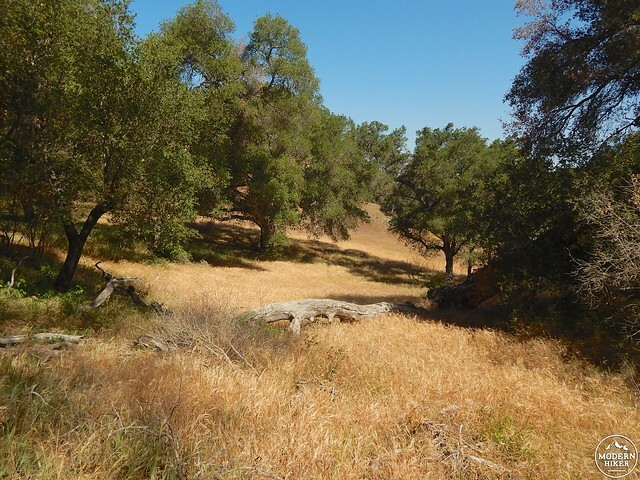 To get a 360 take on the landscape, hang a sharp left when you hit the 3-way intersection at .3 miles, which will take you slightly further uphill to this hike’s high mark, Inspiration Point. 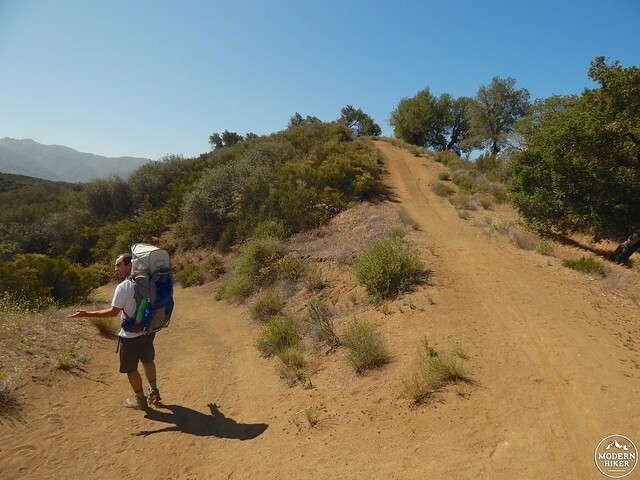 When you’re finished soaking in a pretty awesome expanse of the Santa Monica Mountains, head back down to the 3-way intersection and make a left to continue (if you go straight ahead, you’ll veer onto the Ridge Trail, which heads another 1.5 miles down – you guessed it – a ridge). 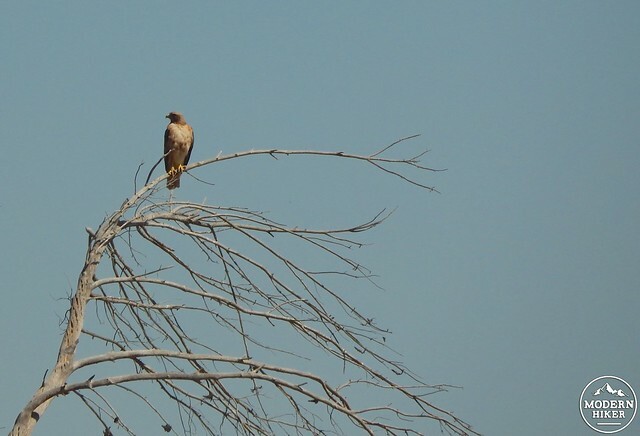 From here, the trail descends back into intermittent shade, offering up grassland views and opportunities for bird-watching and wildlife-sighting – during our hike, we spotted what I think is a red-shouldered hawk (birders, please see pic below to confirm or refute my guess). On a related note, when I was digging up info to ID my winged friend, I stumbled across this handy Bird Checklist for the Santa Monica Mountains National Recreation Area from the National Park Service and learned that there are approximately one million different kinds of birds living in these mountains (I only slightly exaggerate). 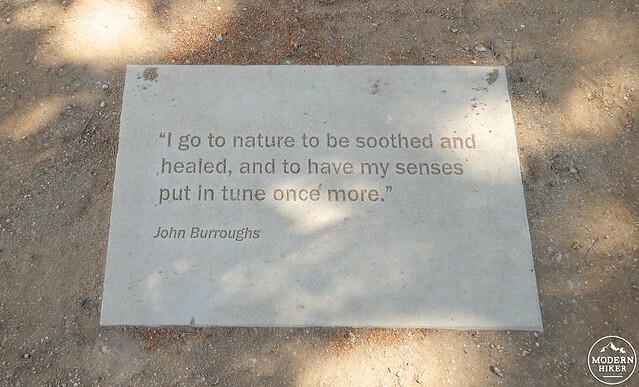 The official trail ends at the mile mark – from here, you can continue to explore the grounds at your leisure as you wind your way back to the Visitor Center. 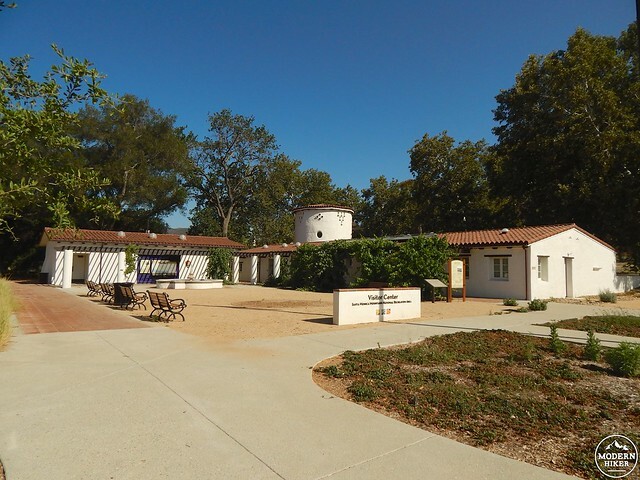 As the trail transitions back to paved roads, you’ll see various outbuildings on your right including a dormitory that was built when Bob Hope gifted the Ranch to the Claretian Order of the Catholic Church in 1952, immediately after he purchased the property. The King Gillette Mansion itself is on the left. The home was designed by renowned architect Wallace Neff, who pioneered the “California style” – a sun-soaked take on Spanish and Mediterranean architecture you’ll recognize from just about everywhere in Southern California. Even though you can’t go inside, it’s worth a wander around the perimeter to daydream about what life would be like if you lived in a fancy estate in the mountains. From the front side of the Gillette Mansion, you’ll have a view of the pond you crossed earlier en route to the Inspiration Point hike, so just head back the way you came to return to the Visitor Center…or perhaps set up a picnic on the well-manicured lawn* and lounge a while, basking in champagne wishes and…mountain-y dreams. 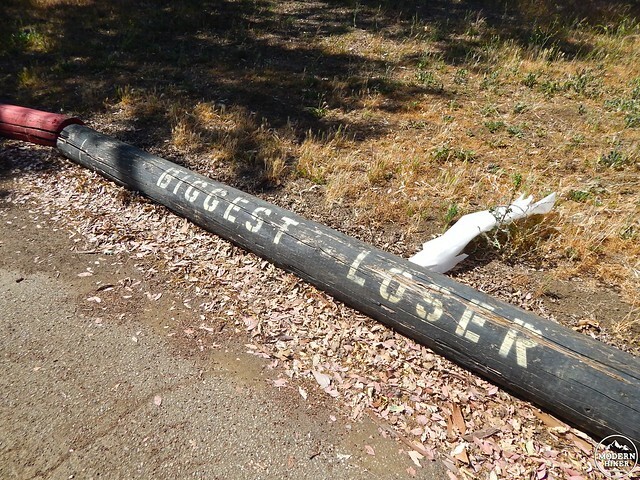 * I can’t imagine what it takes to maintain all of that nice grass during a drought, but when I inquired about this at the Visitor Center, I was told that the Park Service doesn’t actually maintain that part of the property, so they’re off the hook for water waste! 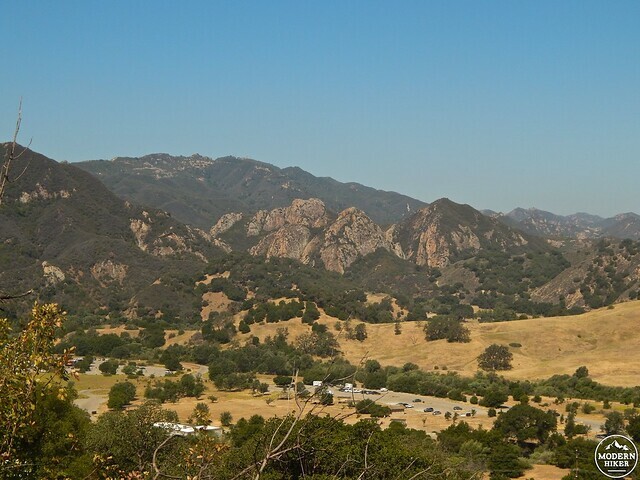 Camping is available at nearby Malibu Creek State Park. 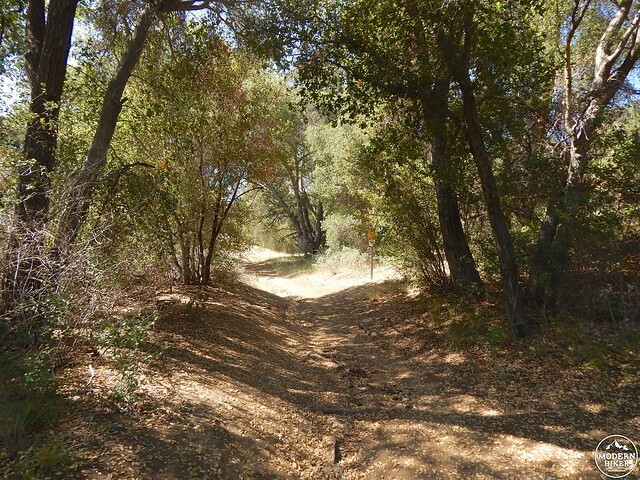 King Gillette Ranch is located on Mulholland Highway in the Santa Monica Mountains National Recreation Area, appx. 2.8 miles south of Calabasas and 8 miles north of Malibu. Parking is free in the Visitor Center lot for 2 hours; for longer stays, parking is available for $7 (although a little bird tells me this is rarely enforced).